Since my first solo exhibition at this wonderful gallery, Cambridge Contemporary Art have continued to sell my prints, postcards and greetings cards. The gallery has for me, become very much a home to A Cambridge Diary and so I’m delighted to have been offered a second solo exhibition this coming June. I am incredibly proud that I am the gallery’s only photographer exhibitor. Queens’ College is one of the oldest and largest colleges in Cambridge, founded in 1448 by Margaret of Anjou (the Queen of Henry VI, who founded King’s College), and has some of the most recognisable buildings in Cambridge. The college spans both sides of the river Cam, with the world-famous Mathematical Bridge connecting the two. 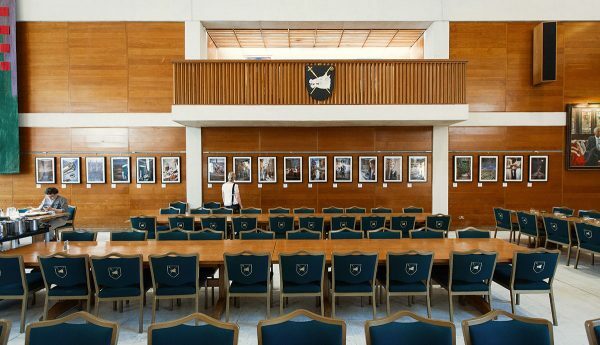 The exhibition is installed in the Dining Hall. Addenbrooke’s Hospital is a world-renowned teaching hospital in Cambridge, England, with strong affiliations to the University of Cambridge. Addenbrooke’s Arts enhances the hospital environment and aims to improve the experience of patients, visitors and staff through an innovative, stimulating and engaging arts programme. Cambridge Contemporary Art specialises in handmade prints, paintings, sculptures and crafts. Situated just a stone’s throw from King’s College, the gallery is in the heart of the beautiful, historic University city. Since opening in 1990, they have gained a reputation for high quality work and innovative exhibitions of local, national and international artists. The gallery atmosphere is open and welcoming to all visitors. The Espresso Library animates creativity, invites freelancers, University students, postgraduates- individuals who need space to work. 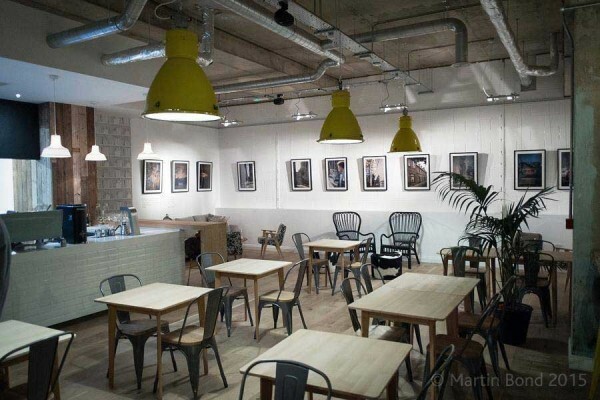 As an organic part of the café, they have designed an area designated for art exhibitions. A Cambridge Diary is delighted to be their first exhibitor.